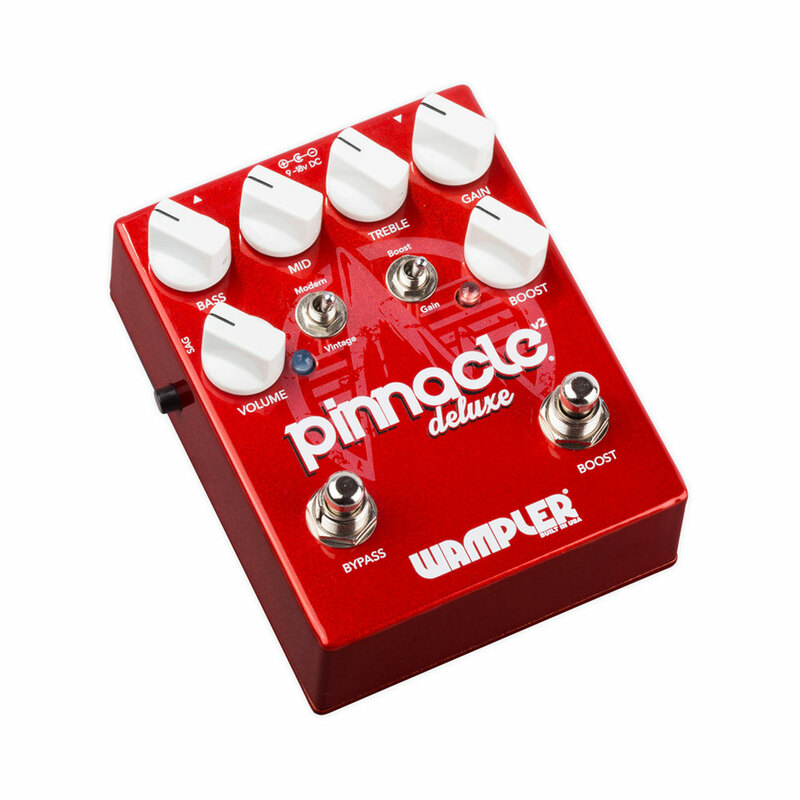 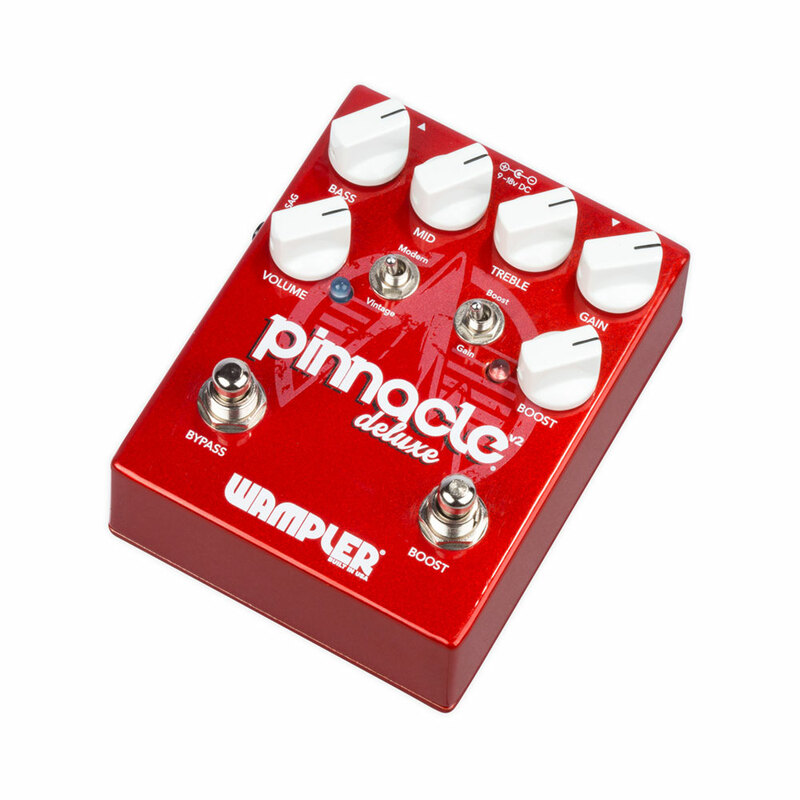 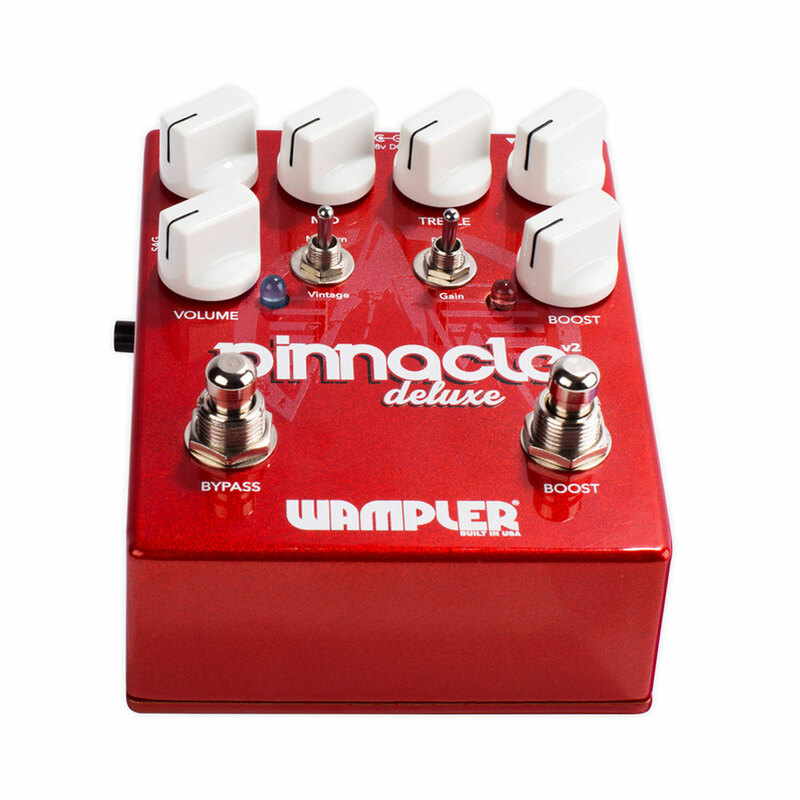 Building on the foundations of the Pinnacle Standard and the original Deluxe, Wampler brings you the v2 of their biggest selling distortion pedal, the Pinnacle Deluxe. 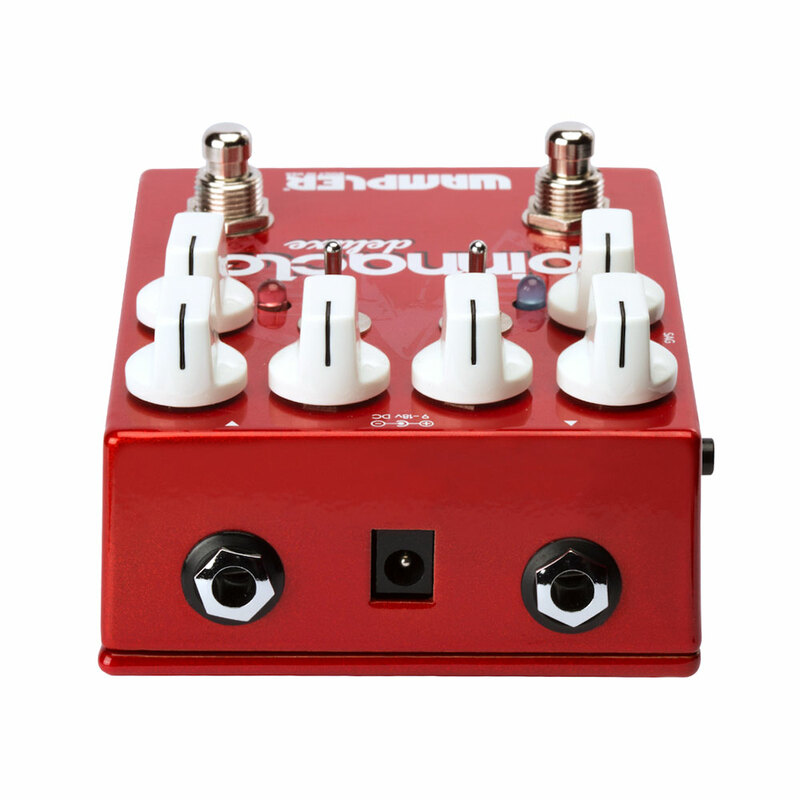 Updating and improving the pedal went as follows, the basic gain structure of the original was cleaned up making it more organic and real, a 3 band EQ was added so you can sculpt your tone like never before, a SAG switch was added to tame high output pickups (when the control is activated the input level doesn’t hit the main gainstages so hard, so the low end compression is not as noticeable) and finally a tube screamer style pre gain boost was added (which can also be used when the pedal is bypassed). 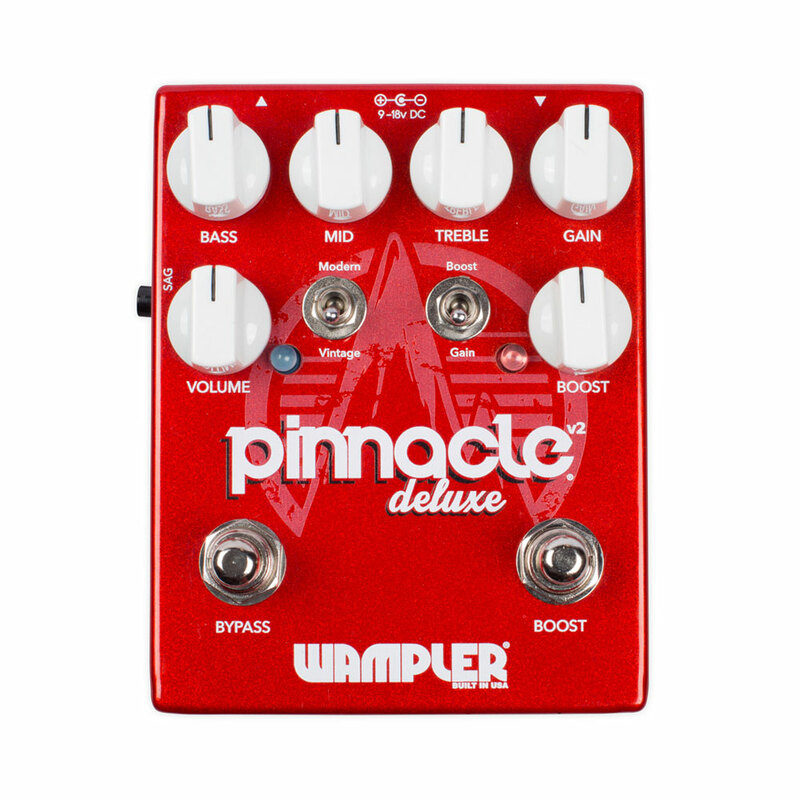 All in all the Pinnacle Deluxe v2 offers not only an updated take on a Wampler classic, but also a plethora of new features that will be irresistible to tone chasers everywhere!